Fact: everything is sweeter when it’s cheaper. That tenth free coffee? Tastier. The half price gym membership just before summer? Extraordinary. If you’re looking starry-eyed at all the places you’ll go, only to have your dreams crushed by your old nemesis (Mr Bank Account, we meet again), we’re here to help. We teamed up with our mates at Jetstar, who know all about making great things happen on a budget. If you have zero savings, here are seven foolproof ways to travel on a shoestring. #1 Find The Cheapest Flights, Obviously. Getting to your destination is often the harshest on your bank account. Jetstar offer a Price Beat Guarantee, so you can wave goodbye to comparison websites and online travel agents. The best bit is that if you let Jetstar know where you’re looking to travel (um, everywhere, please?! ), you’ll receive updates when the price you want becomes available thanks to Price Watch. That means you can stop checking the website every ten minutes and get back to work. Because they know that life doesn’t stop once you book a flight, Jetstar also now offer an AfterPay option, meaning you can have your cake (or, Friday night dranks) and eat it too. 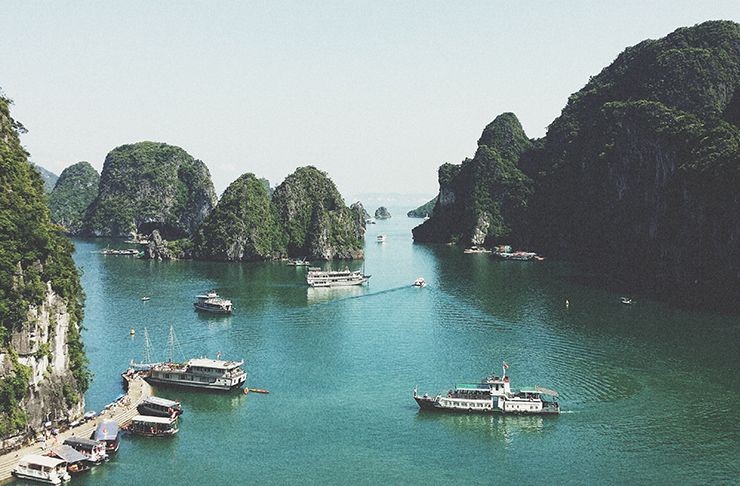 The South East of Asia is a notoriously cheap travel destination. Think locations like Ho Chi Minh City, Phuket, Bangkok, Honolulu, which you can do on a frugal-friendly $30 a day. Travelling in the off-season is another top tip, for example, Bali is always cheaper in rainy season, which pretty much means a few hours of rain a day. We figure you can easily spend that time lounging around in bed instead #robelife. Make the most of public holidays next year and plan a cheeky trip away. Hot months to maximise your annual leave include March, April and December. We’ve crunched the numbers, you can turn 13 days of annual leave into a 24-day holiday (10 March to 2 April). We’ll accept any form of chocolate as payment, thanks. From Couchsurfing to Airbnb and house sitting, there are a plethora of ways to immerse yourself in overseas culture (and save a lil’ sweet, sweet dosh while you’re at it). Couchsurfing will connect you with locals who would love to offer you a FREE bed/couch/mattress (hey, we’re not fussed) usually in exchange for your killer company #hellyeah. Airbnb is another great way to find low-priced accommodation, or we recommend looking at house sitting websites including HouseCarers and MindMyHouse. No-one loves the idea of having to pour drinks while on *holiday*, but if it means travelling for an extra few weeks, we’ll take what we can get. Some travel-friendly work ideas include bartending, waitressing, working on a farm or in a hostel, or being a tour guide. Try Backpacker Job Board or Under 31 Working Holiday Jobs for vacancies, just make sure you’ve got the correct working visa in order. When you arrive at your destination, forget paying for transport or taking the bus. The best way to discover a city is to walk, and when you need to move on, why not try scabbing a ride off the new mates you met at last night’s beach party? One thing you can't skimp on (no matter what your budget is) is travel insurance. Jetstar offers every kind of cover, including comprehensive travel cover and a package for frequent travel bunnies. Check it out here. Editor's note: This article is proudly sponsored by Jetstar and endorsed by The Urban List. Thank you for supporting the sponsors who make The Urban List possible. Click here for more information on our editorial policy.